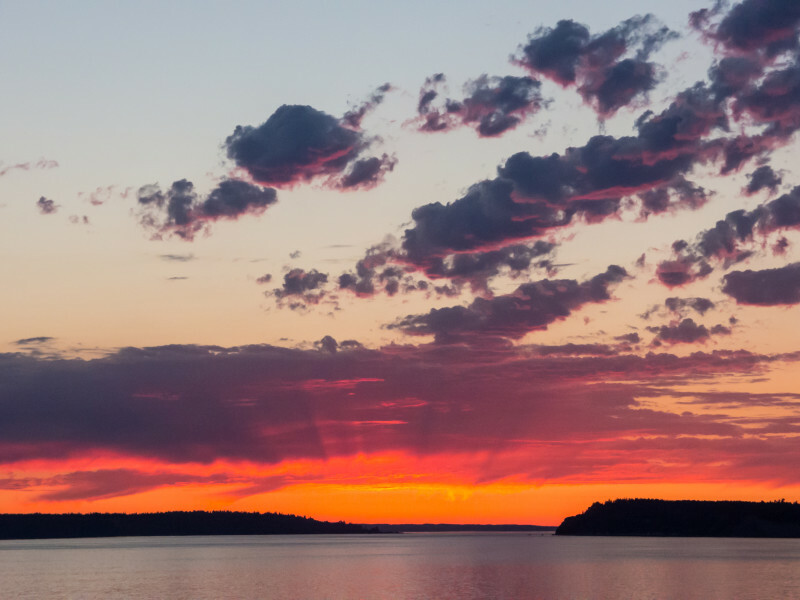 I never get tired of photographing Puget Sound sunsets. For close to six months now, I’ve been doing scuba diving shows at the Seattle Aquarium. This was one of my initial far-off goals when I started diving in the first place, and I feel incredibly lucky to have achieved it. I look forward to each and every show, and the interaction I’ve had with both children and adults has been incredible. This work has inspired me to pursue other opportunities in ocean education and I’m exploring even more ways to expand my diving horizons to that end. My first attempt at this was doing two shows for the UW Friday Harbor Labs facility during their open house. Dozens of children and their parents stopped by to watch the live feed and ask questions as I explored the water below. The technology to do this is not particularly new, but it is exciting nonetheless. Combined with a broadcast over the web, this could be a powerful tool in education. If you’re interested in how this can be utilized, the Fish Eye Project is a recent but excellent example. Ideally, I would like to find a way to make the beginning of this imaginative Future Vision from Microsoft a reality. I have many more projects and adventures coming this summer, both underwater and in the air. I can’t wait to share more! 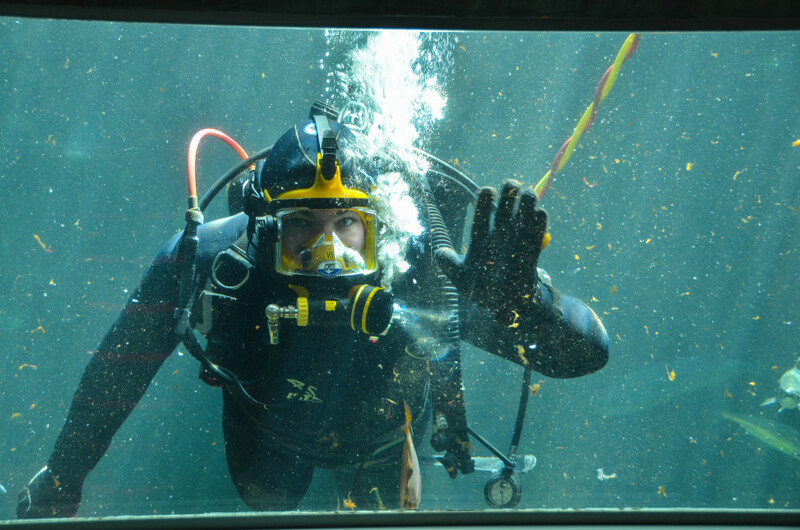 Here’s what I look like while doing my dive show in the Seattle Aquarium Underwater Dome tank. With the recent popularity of Periscope and Meerkat, I’ve been exploring live streaming. Instead of either of those platforms, I have been playing around with Stre.am. It’s been lots of fun chatting with people about all sorts of tech and media production topics, and yesterday I did my first ever live drone stream. 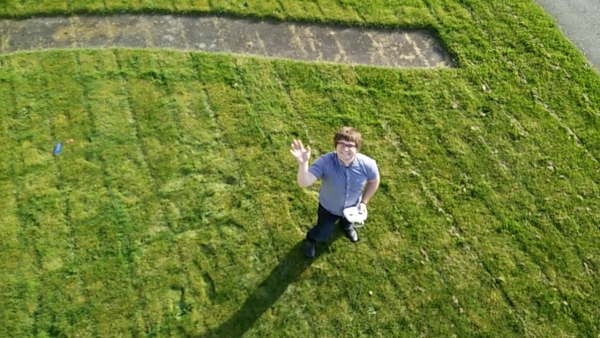 Yes, I streamed video live from a drone over the web. This is a big first for me, and is an exciting indicator of the developments to come in both of these technologies. The developers of Stre.am were pretty excited about this, and the footage might be used for something cool in the future! A short slow motion clip of Nugget Falls with the Mendenhall Glacier in the background. 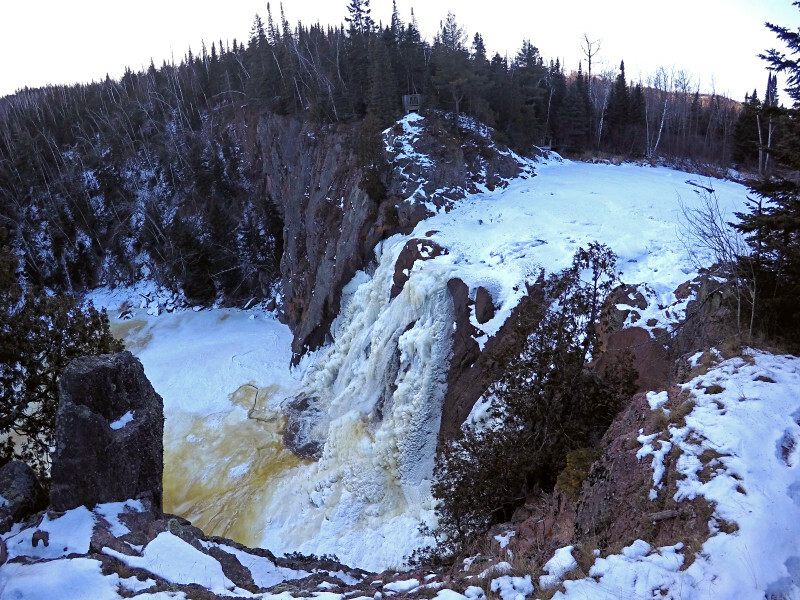 A mostly frozen waterfall near the North Shore of Lake Superior in Minnesota. 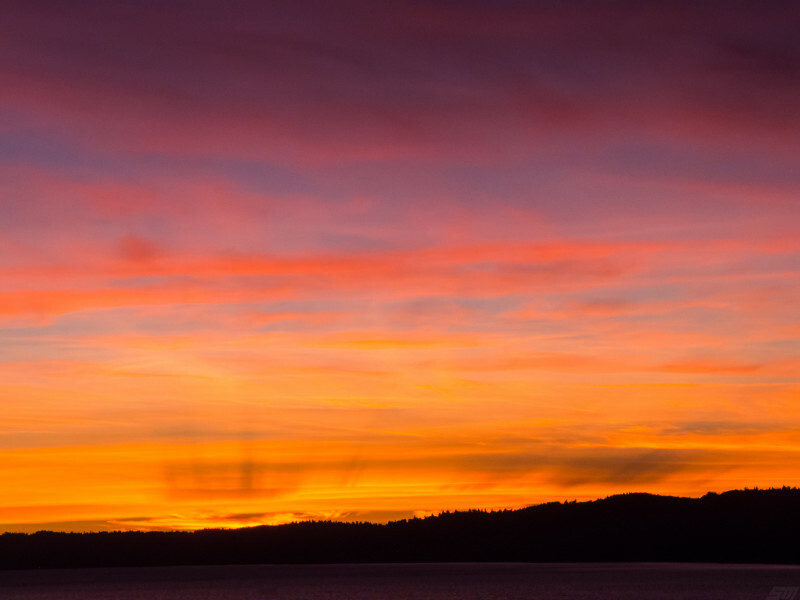 Another stunning Puget Sound sunset from this past Valentine’s Day weekend. This is one of my favorite things about living on the Puget Sound. We really do have some of the best sunsets in the world. Also I’ve been playing around with a new logo that a friend of mine made for me. I’m generally not a fan of watermarks, but this is simple, unobtrusive, and I love the design. 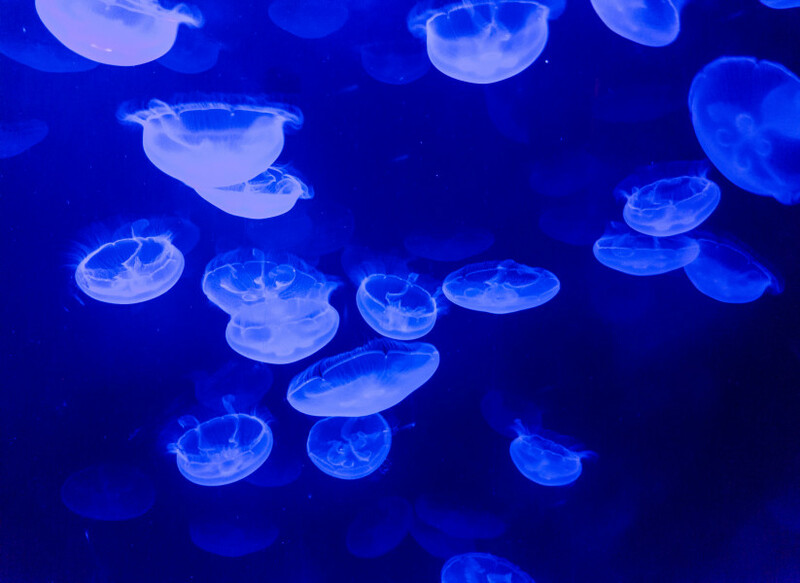 Moon jellyfish illuminated in an aquarium. I’ve been experimenting in completely mobile photography, so this was shot on my OnePlus One in raw and edited in Photoshop Express on the same device. 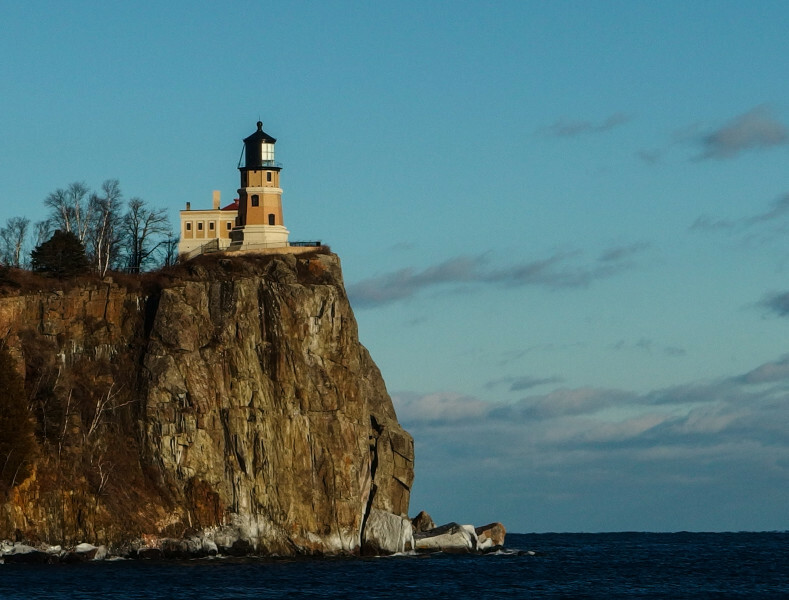 Split Rock Lighthouse on the North Shore of Lake Superior. 2015 marks the beginning of an exciting new chapter in my life, and the fifth year that this website has been running. I launched Stu.Articulated before I started at the University of Washington as a way to document my experiences and to build my own little corner of the Internet. The site has changed dramatically since then, following my direction through university and now beyond. I snowshoed halfway up Mount Rainier. I traveled to Los Angeles and toured many studios, meeting key players along the way. I made my first big splash in drone photography, getting my photo on the cover of the UW Visitors Guide (20,000 copies), and I estimate about one million views online. I traveled to Friday Harbor Laboratories in the San Juan Islands and became a certified Rescue and Scientific scuba diver. I helped shoot a wedding at the top of the Columbia Center in Seattle. I traveled to Juneau, Alaska, and hiked around the Mendenhall Glacier. I traveled to Minnesota and spent time hiking and taking photos on the North Shore of Lake Superior, where I took the above photo of the Split Rock Lighthouse. These, along with many others, made 2014 an incredible year for me. I intend to make 2015 more of the same. I’m already halfway through training to become a diver for the Seattle Aquarium, which will no doubt open many new doors for me. Thank you for visiting my little production blog, whether you’re here for the first time or you’ve been following along for the past five years. I hope to share many more adventures with you in 2015! 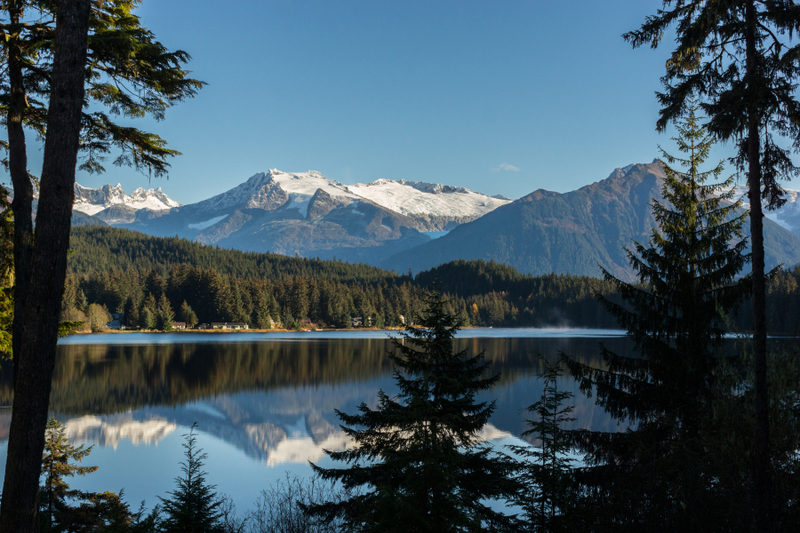 A view of the mountains from the shore of Auke Lake in Juneau, Alaska.